"These woods are cursed, you know?" 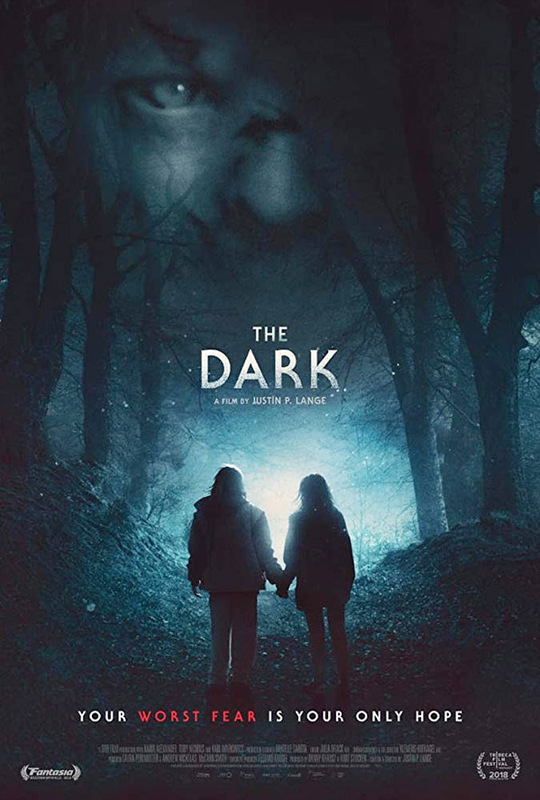 Signature Entertainment has unveiled the official trailer for a horror film titled The Dark, from Austria, an English-language feature that just play at FrightFest in the UK. The film has quite a unique premise: an undead teenage girl befriends a blind boy that she meets in a forest she haunts and hunts in. Both have been victims of unimaginable abuse, and each finds solace in the other. The horror is described as "transfixing, unnerving masterpiece" and a "haunting and deeply intense atmospheric film about love, monsters and revenge that is being compared to the spine-chilling Let The Right One In." This stars Nadia Alexander as Mina, Toby Nichols, Karl Markovics, Margarete Tiesel, and Dylan Trowbridge. This trailer doesn't give away much, but is a nice intro to this dark horror story of young love. The film follows Mina, a young woman who was murdered and stalks the forest that saw her demise. Anytime some unfortunate soul enters her area, they are quickly dispatched and become her feast. But when she stumbles across a young boy named Alex in the back of a car who shows signs of clear and horrifying abuse, she can’t bring herself to do away with him. Rather, she becomes his protector while trying to protect her own little world. As police and locals search for Alex to help bring him home, their own growing relationship seems to be changing Mina in ways she never thought possible. 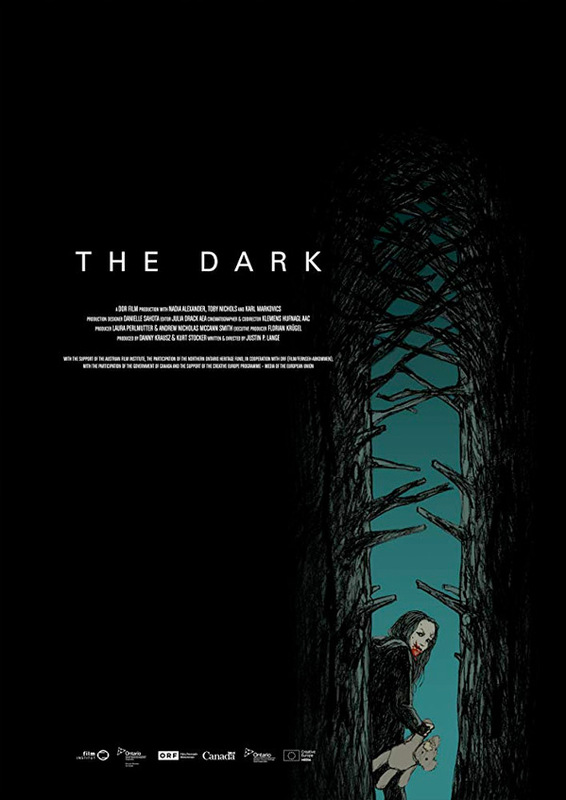 The Dark is directed by filmmaker Justin P. Lange, making his feature directorial debut after a few shorts previously. It's also co-directed by Klemens Hufnagl; from a screenplay written by Justin P. Lange. The film premiered at the Tribeca Film Festival earlier this year, and has played at a bunch of other genre festivals. No official release date is set yet, it's still playing fests including FrightFest. First impression? Anyone else interested?